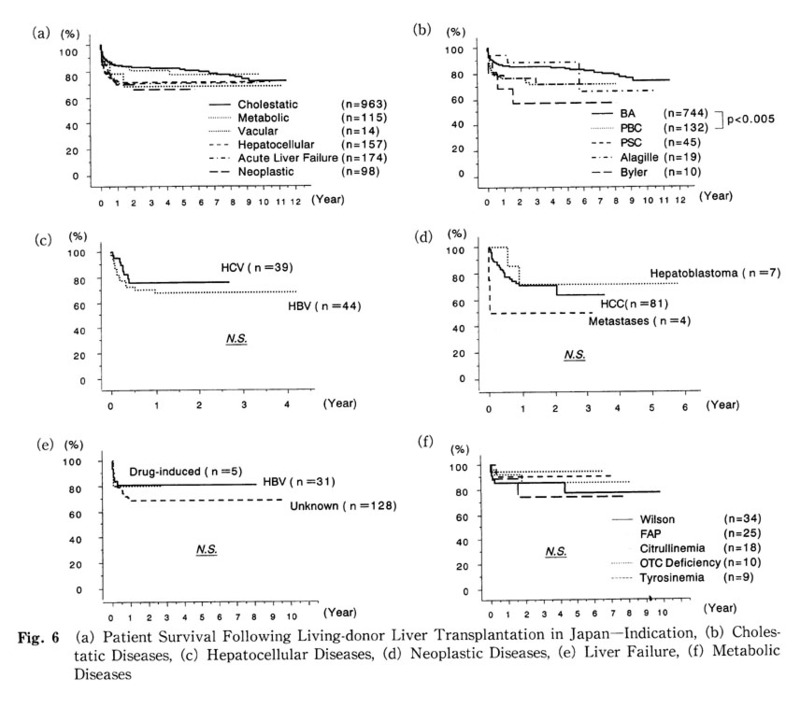 One thousand eight hundred and five liver transplants have been performed by December 31，2001 in 45 institutions in Japan. 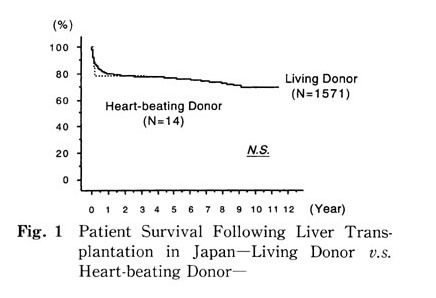 There were 1789 1iving-donor transplants and 16 cadaveric transplants(14 heart-beating donor and 2 non-heart beating donor). 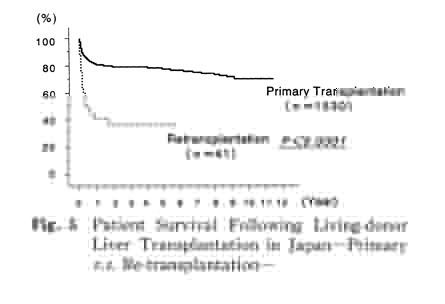 Number of living-donor transplants in each year has been increasing since 1989 and reached 417 in 2001. 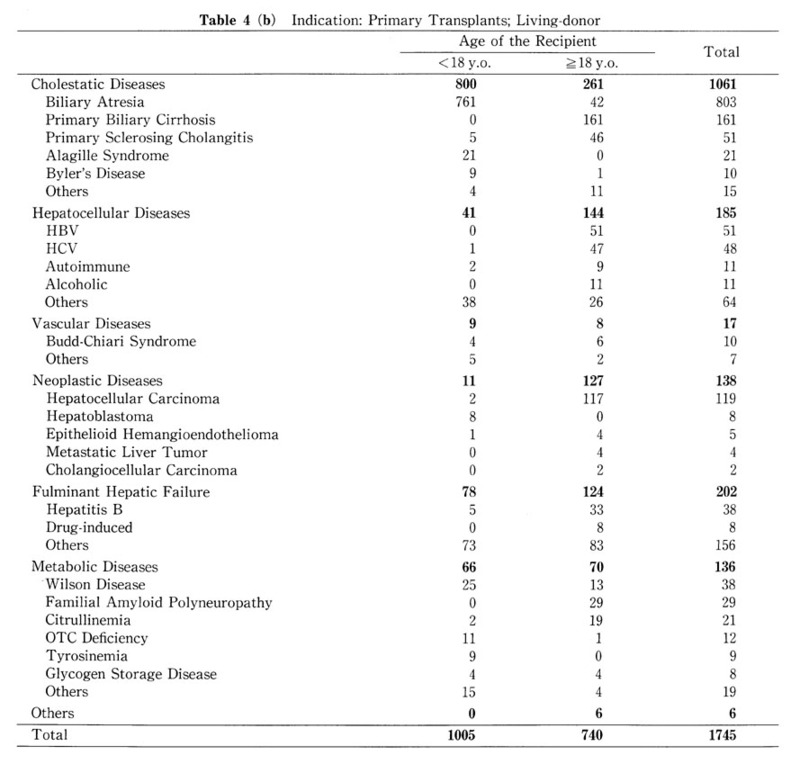 Most popular indication was cholestatic disease. 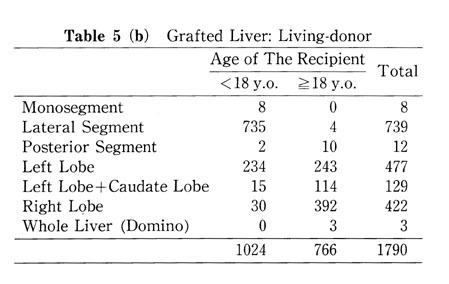 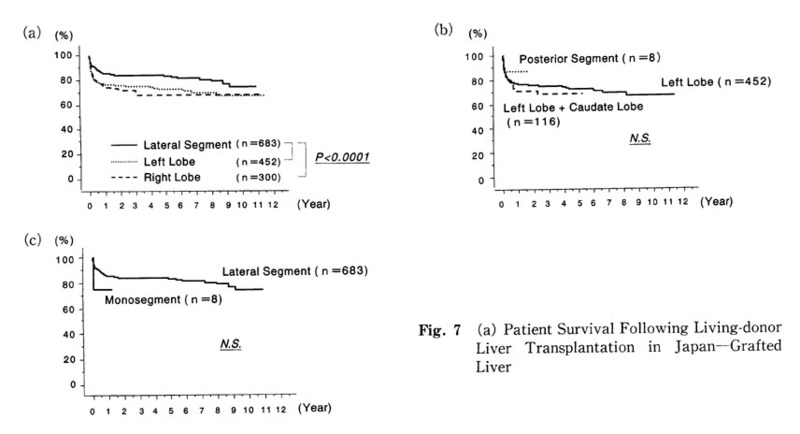 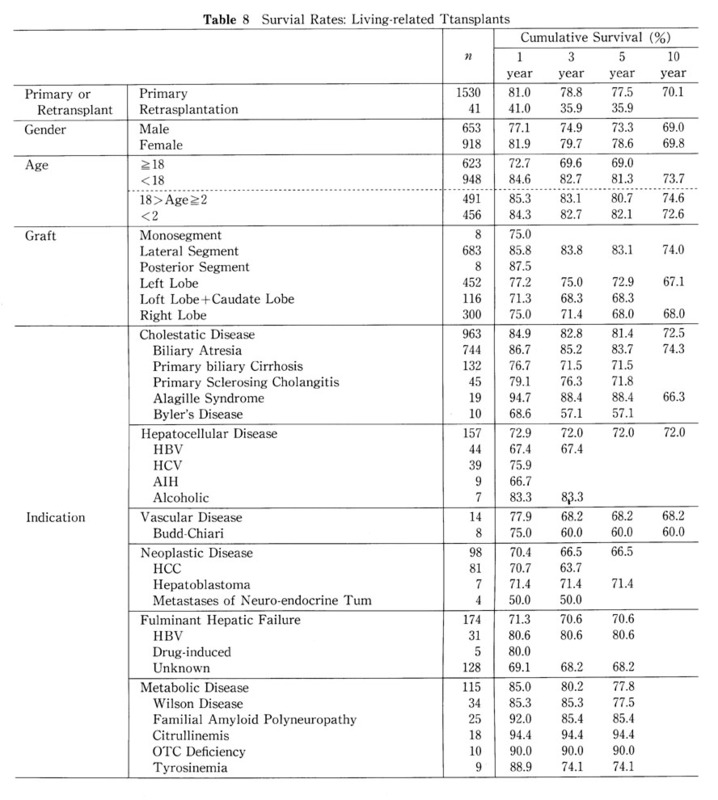 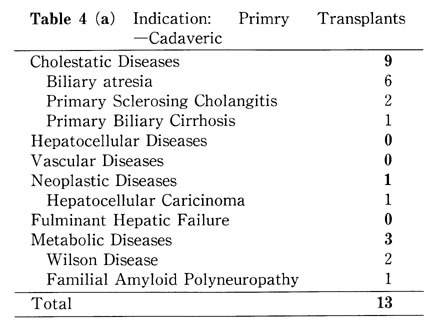 As for the graft liver in living-donor cases, right lobe graft has been increasing(203 in 2001). 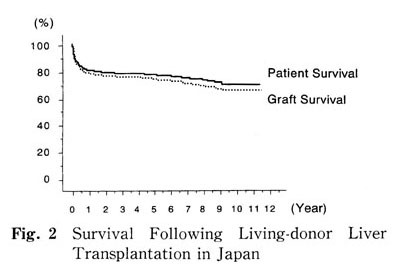 Patient survival following transplantation(heart beating donor;1-year 78.6％, 3-year 78.6％, 1iving-donor;1-year 79.9％, 3-year 77.8％, 5-year76.4％, 10-year 69.2％）was not largely different from graft survival(heart-beating donor;1-year 78.6％, 3-year78.6％, 1iving-donor;1-year 79.2％, 3-year76.9％, 5-year75.0％, 10-year66.5％). 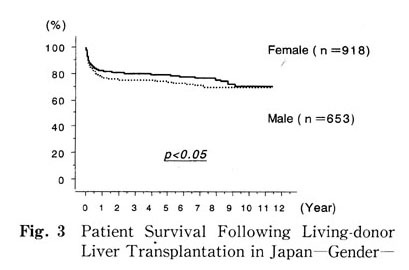 copyright (C) Japanese Liver Transplantation Society all rights reserved.